What’s the last place you took a trip to? Vegas? The Bay? For the brave, or foolish, of heart, TJ? I’m sitting in Charles de Gaulle Airport right now, on my way to see a very special someone in Budapest, but even this has a hard time comparing to the epic journey that the Brothers Isley bring you in their epic jam and a half, Voyage to Atlantis. 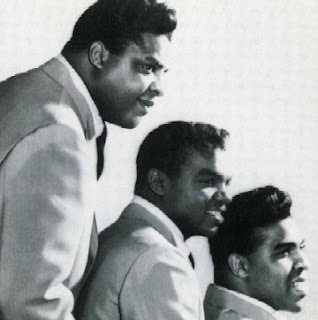 Probably the funkiest creation since the sinking of Atlantis, the Isley Brothers made something so groovy and pure that even Midas would have a hard touching it. With a warbled guitar taking you down to the very depths of the deep blue, to a place where only mermaids and old guys with tridents dwell, Voyage to Atlantis tells about a man leaving his lady behind, but promising that he’ll always come back to her…but only if they go all the way together. To where? Atlantis of course, the paradise out beyond the sea. Why is this a jam and a half? If the first listen hasn’t convinced you, and if hearing this crooned from apt 661L hasn’t either, then you probably should stop reading this blog. Not only is this something even Poseidon would have a hard time not jamming to in his watery palace, Big Boi sampled it in his recent jam Royal Flush (off of his oft delayed solo debut) with Andre 3000 and Raekwon. The Isley Bros rank up there with the Mario and Luigi. the Halpern lair, and Big Leks and Oscar as far as all time brothers go. Let them take you on a voyage.